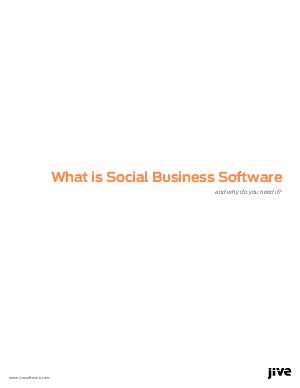 Jive Software » What is Social Business Software? Social Business represents a fundamental shift in how businesses communicate. Both internally and externally. Social Business Software provides the tools to take full advantage of this shift. Don’t be the last to adopt the biggest innovation in corporate communication since email.